DRG International Exhibiting at ASH Annual Meeting 2018 - Booth #3009 | DRG International, Inc.
DRG International, Inc. is proud to be a featured participant at ASH 2018, held in San Diego, CA from December 1 – 4, 2018! Please visit the DRG booth at #3009 to learn more about our products, including our Hepcidin 25-bioactive HS ELISA Kit. 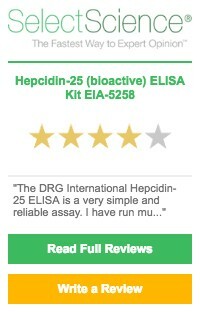 DRG’s Hepcidin 25-bioactive ELISA Kit, and its new High-Sensitive version, have been used in several research studies. To find more studies and citations of our Hepcidin Kit, please go to our Reference Library here. DRG International, Inc. founded in 1970, is a multinational specialty medical equipment and diagnostics manufacturer and distributor with successful operations in over 110 countries. 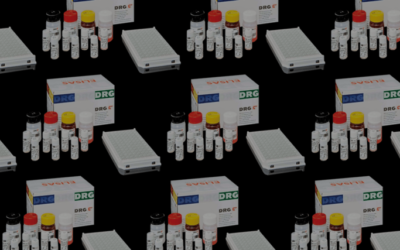 DRG supplies an extensive line of immunodiagnostic products including fertility and pregnancy tests, endocrinology/diabetes, saliva hormone diagnostics, tumor markers, infectious diseases, immunology/hematology, thyroid function panels, cardiovascular assays as well as therapeutic and toxicology screening products. To obtain more information about the DRG group of companies and complete product line, please visit our website at: www.drg-international.com.